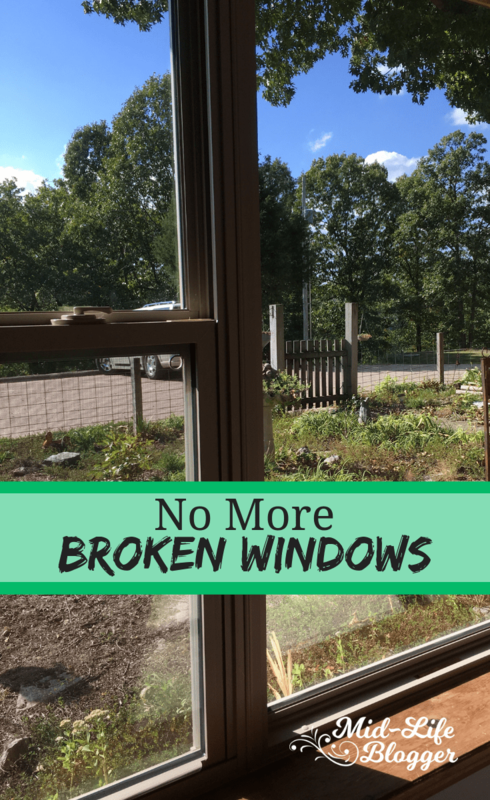 Are you familiar with the Broken Window theory? It was authored by two social scientists, James Q. Wilson and George L. Kelling, who basically asserted that each problem that goes neglected in an environment affects peoples’ attitudes toward that environment potentially leading to additional neglect, or worse. We’ve lived in our current home for over ten years. It was built exceedingly well and I’ve really appreciated that. One of its features was double windows and doors throughout the house. While they were good at keeping out drafts, most of the windows had become fogged up and we couldn’t see out of them. Our sliding glass doors were also doubled and spiders spun webs and bugs died between them. To clean between them was an ordeal, so it didn’t happen very often. I’m not one to spend time doing things when I don’t get a reward for my efforts, so I had pretty much quit cleaning all of them. I’m ashamed to say that, but you couldn’t tell a difference so why spend my time and energy that way?! That affected my attitude towards the rest of the house, too. I lacked pride and began to see it as ugly. Really, it just needed some cosmetic updating. Some of that I took on myself. Over the years I’ve scraped wallpaper and repainted the bathrooms and our dining room, but there was still a lot of ugly wallpaper that I had to look at every day. It wasn’t me. I’m a better decorator and housekeeper than that, normally. I’ve been wanting to make these updates for many years, but rather than nag and complain about it, I prayed about it. I knew that if God wanted me to have those things that He would provide, and in the meantime I tried to practice contentment. The time has finally come and we’ve started doing some remodeling. One of the first tasks was replacing the doors and windows. How wonderful it is to be able to see out them! I immediately started feeling motivated to do other things both inside and outside the house. With more light coming in, it illuminated areas that needed my attention, and as I gazed out of them I started to think about improvements I wanted to make to my garden. I want the view from the windows to be as nice as I can make it. View into side yard from a bedroom. You can see my garden cart where I’ve been working. I was reminded of a book that the kids and I read years ago in our homeschool called Diary of an Early American Boy. In it, (from my memory) for his 10th birthday, he got a window in his bedroom. It made me realize how we take for granted things that at one time were a luxury. I can tell you that I’m not taking our new doors and windows for granted! I feel as thrilled as that young boy must have been, to be able to gaze out of them and enjoy the beautiful creation that surrounds me, and the timing couldn’t have been more perfect since the temps are starting to cool off to where we’ll be able to enjoy the open windows. 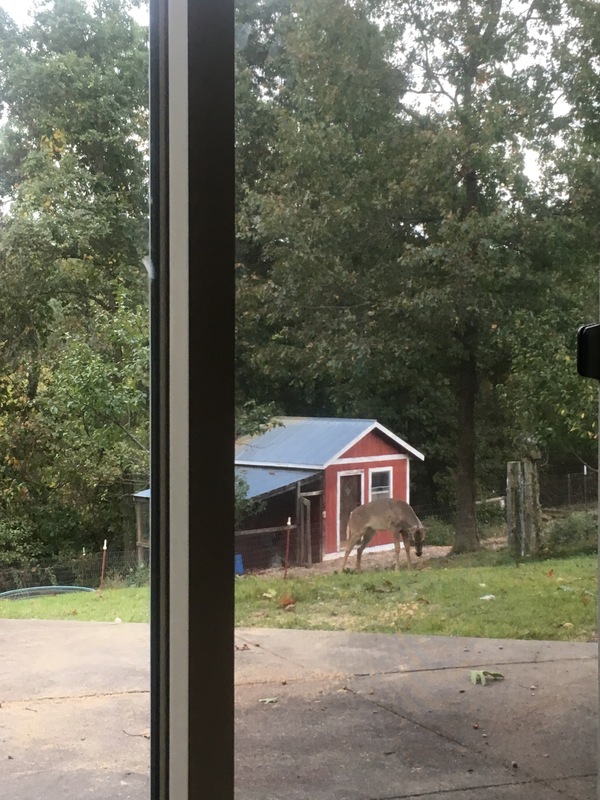 A young deer in the backyard. A few years ago I wrote Open Windows ~ A Simple Pleasure. I’ve always loved the smell of fresh air and the sound of the rustling leaves. At night when I’m able to sleep with the window open and listen to the night music of frogs and insects, and smell the fresh air, I just feel like I sleep better. It’s amazing at how the old windows depressed me, and now how the new ones have energized me. We didn’t actually have broken windows, but the old foggy windows definitely had a negative affect on me. While the original authors applied it to public settings, it had the same affect on my feeling towards our home. New windows from the outside. 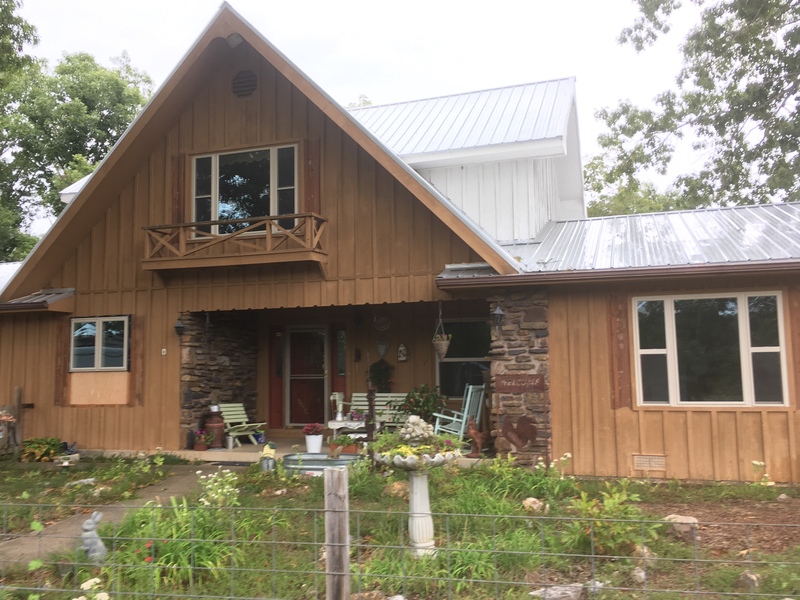 Painting the house is next! I love open windows too! 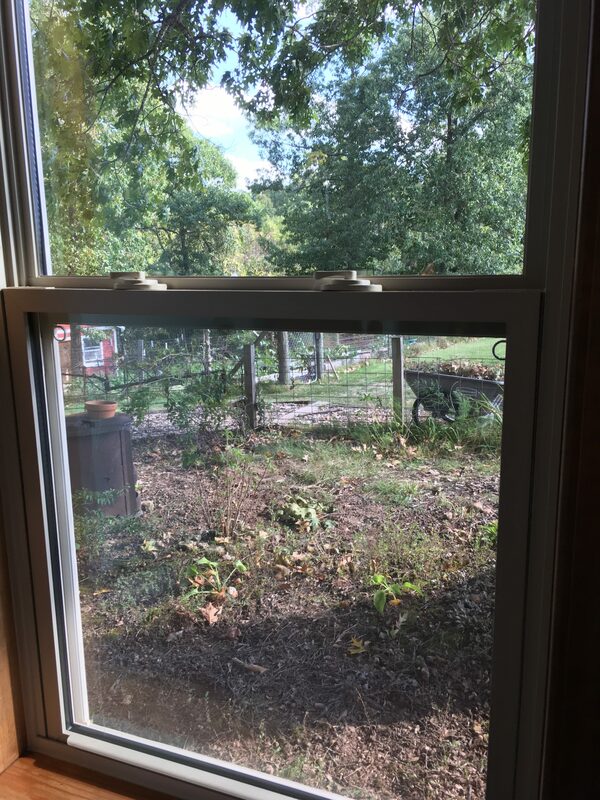 How lovely that you can now enjoy the view out the new windows. Oh, yes!! I’m sooooo happy!! I understand how you feel all too well! With a house full of kids who are home 24/7, things get messy and broken, and even though I’d love to fix or clean everything right away, it’s difficult, time consuming, and in the end, a lot of the work just gets undone right away. It can feel hopeless, and if I’m not careful, things can slide and get out of hand. Yes, having a house full definitely makes it harder! Wow! 140 Years? They sound amazing! I love having lots of windows! Your house is beautiful and so is your view! They look great. I’m so glad your prayers were answered. Thank you! They’re even sweeter after the wait!